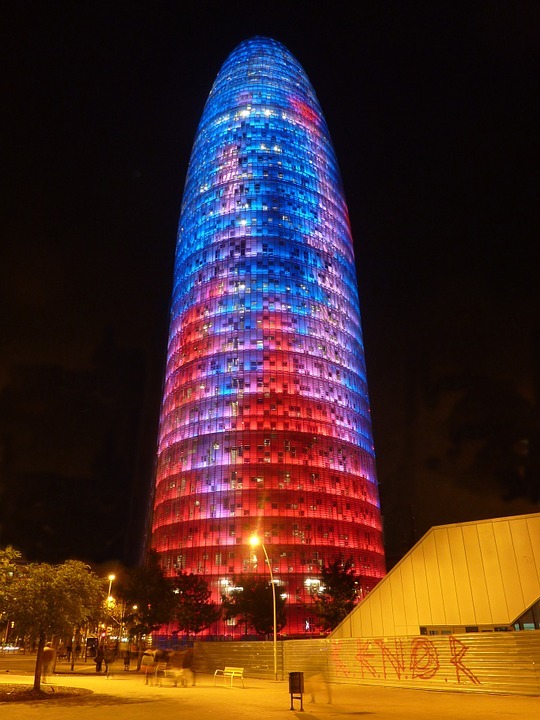 The Torre Agbar, or Agbar Tower, has been designed by French architect Jean Nouvel. It opened in June 2005 in Barcelona, Spain, and it was inaugurated officially by the kings of Spain the 16 of September of 2005. The building, which measures 142 metres in height, houses the Barcelona Water Company, and Nouvel has designed it to evoke water: smooth and continuous, shimmering and transparent. It is made up of 4,400 windows and 56,619 transparent glass plates and translucent ones: the glass of the windows is transparent, otherwise it is etched to be merely translucent. 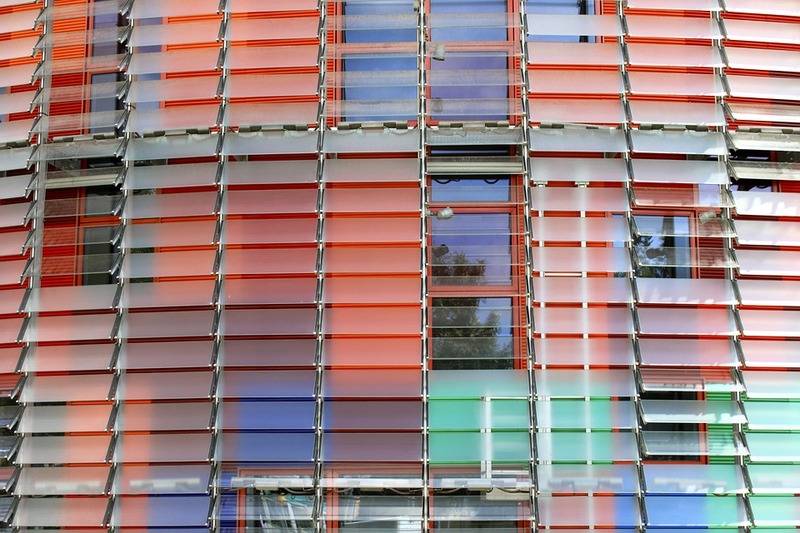 The cladding consists of aluminium panels in 25 colours behind glass louvres. The louvres are titled at 14 different angles calculated to deflect direct sun light. In additon, temperature sensors regulate the opening and closes of the glass blinds of the facade, optimizing the consumption of necessary energy to the air conditioning. The building is characterized by its nocturnal illumination: it has more than 4,000 luminous devices that use technology LED. Jean Nouvel wrote on this project: "This is not a tower, a skyscraper, in the American sense. It is a more an emergence, rising singularly in the center of a generally calm city. Unlike slender spires and bell towers that typically pierce the horizons of horizontal cities, this tower is a fluid mass that bursts through the ground like a geyser under permanent, calculated pressure." The cost of the building was around 130 million euros. Thanks to on-going research and development efforts glass products can take on ever new functions.